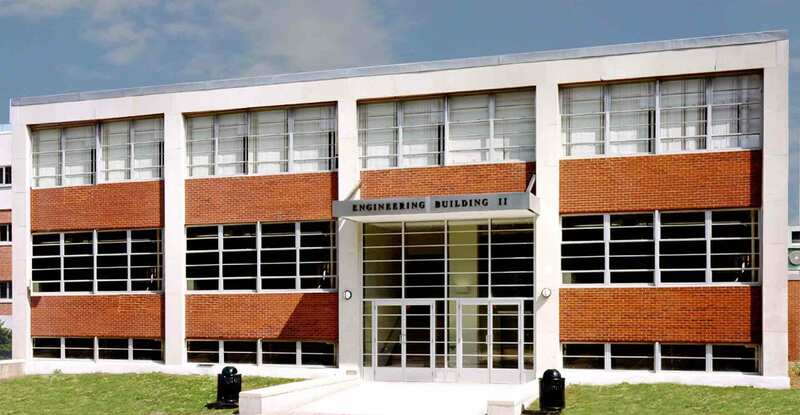 The Engineering Building II, located on the University of Connecticut’s main campus in Storrs, required an exterior façade improvement and a new accessible entrance. 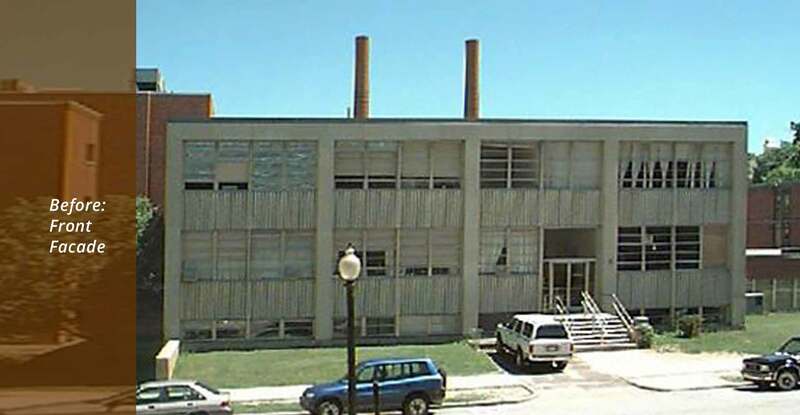 The original corrugated aluminum façade had tarnished and fallen into disrepair, and a main entry stairway required persons with disabilities to use the building’s rear entrance. 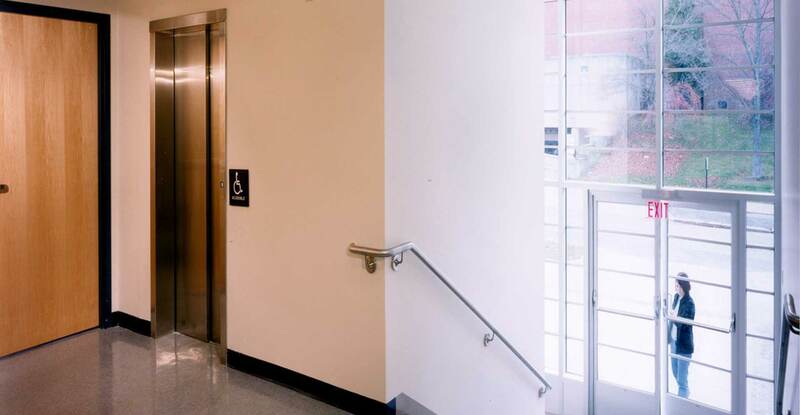 The new design replaced the aluminum panels with brick, removed the exterior stair, and created a new glass-enclosed accessible lobby at grade. 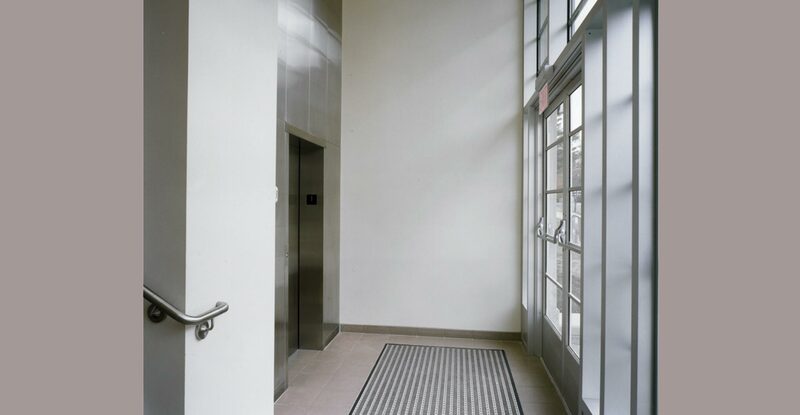 Within the new lobby, a stainless-steel elevator was added along with a new interior stair. The modernist aesthetic was updated with the addition of a stainless steel canopy and new exterior lighting.